Orissa Olympic Association Th. General Secretary Vs. State of Orissa and Anr. .
Respondent: State of Orissa and Anr. .
Dipak Misra, J. The assailment in the instant appeal, by special leave, is to the legal acceptability of the judgment and order dated 29.11.2014 passed by the High Court of Orissa, Cuttack, in First Appeal No. 158 of 2001 whereby the learned Single Judge has set aside the judgment and decree dated 16.04.1999 and 21.04.1999 respectively passed by the learned Additional Civil Judge, Senior Division, Cuttack in T.S. No. 312 of 1991 wherein the learned trial Judge had decreed the suit of the plaintiff-appellant and permanently restrained the defendants, the State of Orissa and its functionaries, from disturbing the peaceful possession of the plaintiff- association over the suit land. 4. It was further asseverated in the plaint that during Hal settlement operation, due to lack of supervision, certain mistakes occurred in recording of different plots. As far as Sabik Plot No. 139 is concerned, a part of it measuring an area of acre 0.705 decimals was included in the Hal Plot No. 7 out of which acre 0.630 decimals were within the compound of the plaintiff-association and acre 0.075 decimals was outside (0.630 + 0.075 = 0.705) the land. Thus, the total land was acre 0.705 decimals. It had been further set forth that the Hal Plot No. 7 also included portions of Sabik Plot Nos. 137 and 140 and thereby Hal Plot No. 7 with a total area of acre 0.880 decimals stood included in the Hal Khata No. 203 which was recorded in the name of the State as “rakhit”. It was contended that the said record was erroneous in view of the fact that no part of the said plot was in Khas possession of the State. As indicated earlier, acres 0.705 decimals relating to Sabik Plot No. 139 was in possession of the appellant. The remaining area of acre 0.175 decimals relating to Sabik Plot No 137 and Plot No. 140 was in possession of the Branch recruiting office. Prior to the settlement, there was no “rakhit” land by the side of the road to be recorded in the name of the State. A number of very old houses belonging to the plaintiff and to the Branch recruiting office physically stood on this Hal Plot No. 7. The Hal settlement Khatian was finally published on 11.04.1988 but it was not available to the public. It was alleged that the land in question was in possession of the association and further though a vast area covering about twenty four acres was in possession, yet the incorrect entry/inclusion in the Hal settlement could not be detected earlier as the Hal Settlement Map was not available. 5. As set forth in the plaint, the Tahsildar initiated proceeding against the appellant under the Orissa Prevention of Land Encroachment Act, 1972 (for brevity, “the Act”) vide Encroachment Case No. 213/1 of 1990/91 under the Act for eviction and the said proceeding was based on the wrong record as mentioned above. 7. The defendants filed the written statement admitting that the plaintiff-association was in possession of the area as claimed. It also accepted that the association had constructed a massive stadium and many other houses and the entire area was enclosed by high compound walls. The defendants-respondents denied that the leasehold area of acres 20.808 decimals included an area of acres 6.520 decimals of Sabik Plot No. 139. It was their stand that it included an area of acres 6.222 decimals. It was averred that an area acres 20.808 decimals had been leased out for twenty years for construction of stadium as per Government order in letter no. 17484 dated 29.6.1949 and lease deed bearing No. 4524 dated 29.9.1949 was executed and subsequently renewed vide Deed No. 2526 dated 19.4.1974 for a period of another twenty years. It was also pleaded that the Government sanctioned an area acres 2.703 decimals in their Sanction Order No. 11680 dated 22.2.1959 for construction of Indoor Stadium and an area of acres 1.939 decimals for sinking a Swimming Pool, Swimming Club and a Restaurant, but no lease deed in respect of acres 1.939 has been executed. It was further pleaded that during Hal settlement, the total area of acres 24.733 decimals has been recorded in the name of the appellant-Association including an area of acres 1.222 decimals out of acres 1.939 as referred to above for which no lease deed has yet been executed and the differential area measuring acre 0.717 decimals (acres 1.939- acres 1.222) has been recorded during Hal settlement in Government Rakhit Khata and the plaintiff- Association is in unauthorized possession of acre 0.634 decimals out of the said area of acre 0.717 for which encroachment case was initiated and an order of eviction has been passed. 8. On the basis of the pleadings, the learned trial Judge framed the following issues:- 1. Whether the plaintiff is in possession of the suit land from the year 1949 and has perfected title by adverse possession? 2. Whether the suit land has been recorded in Rakhit Khata due to lapses of the plaintiff association? 3. Whether the suit land is liable to be settled on lease basis in favour of the plaintiff? 4. Whether notice U/s 80- C.P.C. has not been served? 5. To what relief, if any, the plaintiff is entitled to? 11. It is apt to note here that an application under Order I Rule 10 CPC was filed in Misc. Case No. 122 of 2003 to implead M/s. Sanjit Samal represented through Managing Partner, registered office at Mahatab Road, Cuttack-12 as respondent no. 3, Sanjit Samal, Managing Partner of M/s. INCON ASSOCIATES, Mahatab Road, Cuttack – 12 as respondent no. 4 and Sanjaya Behera, partner of M/s. INCON ASSOCIATES, S/o. Ashirbad Behera, Seikh Bazar, Chandinichowk, P.S. Lalbag, Cuttack as respondent no.5. The application was allowed on 17.11.2014 and the aforesaid persons stood impleaded as co-respondents. “15. On perusal of the pleadings of the parties, it appears that the Tahasildar, even though, was arrayed as a defendant, was never authorized by the Collector to file written statement admitting the claim. The Collector, under the Code of Civil Procedure, represents the State. No written statement without the authorization of the Collector could have been filed admitting the claim of the plaintiff and the trial court ought not to have accepted the said written statement as that of the defendant no.1 – Collector, who represented the State. It is further pertinent to mention that the case record of the OPLE Proceeding was kept away from the trial court and no evidence, either oral or documentary, was adduced from the side of the defence during the trial. As indicated here-in-before, the present appeal was also not filed with due promptitude inasmuch as according to the Collector, Cuttack vide his affidavit filed on 20.12.2002, the conducting Advocate did not inform him the result of the suit till 17.4.2000 though the decree was passed on 21.4.1999. “The Orissa Olympic Association is a public body. Admittedly, no public notice was given inviting applications to invest in the construction of KALYAN MANDAP. It may be remembered that the suit was filed after receipt of the notice in the O.P.L. E. proceeding and the learned Civil Judge (Senior Division), Cuttack by order dated 7.11.1991 passed the status quo order even though the court was aware that for the self- same land, a proceeding under the OPLE Act was continuing. It is also admitted in the objection/counter affidavit filed before this Court that a portion of the land is situated over the alleged encroached area. The order of status quo was vacated by the learned Civil Judge (Senior Division) by order dated 27.11.1996. 16. We have heard Mr. Gopal Subramaniam and Mr. Raju Ramachandran, learned senior counsel appearing for the appellant assisted by Mr. Raghavendra S. Srivatsa, Mr. Krishnayan Sen and Mr. Ashok Panigrahi learned counsel for the State and Ms. Binu Tamta, learned counsel for the Comptroller and Auditor General of India (CAG). Whether the lessee of the present character, that is, the Orissa Olympic Association, could have filed a suit for right, title and interest against the State, that is, the superior landlord? Whether the plea of adverse possession can be set forth by the “Association” against the State, if the suit property is beyond the area granted under the lease deed? Assuming the suit land/property is situate within the lease hold area, whether the grantor, that is, the State Government, cannot take steps to resume the land for violation of the terms and conditions of the lease deed? Whether the income that is received by use of the suit property should not be taken into account and why should it not be the legal obligation of the petitioner-Association to satisfy the Court that the accounts have been audited and the amount derived has been properly accounted for? If the accounts have not been audited, as required in law, whether the individuals that look after the affairs of the Association in respect of the suit property, would be criminally liable or not? 19. Thereafter, the Court adverted to issue no. (v) and, in that context, the following order was passed:- “On a query being made, learned senior counsel, submitted that the suit was instituted in the year 1991 in respect of 0.705 acres claiming right, title and interest and other reliefs and the income received from the property situated on that area is regularly audited by a statutory auditor. In our considered opinion, there has to be audit for the purpose of verification so that we can eventually be satisfied. Considering the facts and circumstances in entirety, we direct that the accounts in respect of “Kalyan Mandap” and 23 shops standing on the disputed area” (suit area 0,705 acres) be made by the Accountant General of Orissa at Bhubaneswar. The said exercise shall be completed within a period of six weeks. The report of the Accountant General shall be placed before this Court. The Registrar (Judicial) shall send a copy of the order passed today to the Accountant General of Orissa at Bhubaneswar by fax/e-mail and regular post forthwith so that he can take steps in promptitude. As advised at present, we shall delve upon the issue whether the necessary arrangement pertaining to management of the aforesaid property is required to be made. Without expressing any opinion finally, as we cannot today as the special leave petition is pending, we think that there should be a Committee of Management which shall take over possession of the “Kalyan Mandap” and the 23 shops standing on the area for the purpose of management. The committee shall consist of the Collector, Cuttack and two Additional District Magistrates to be nominated by the Collector. The Committee shall be liable to be supervised by the Secretary, Revenue and Disaster Management. We hasten to clarify, if there is any contract which has been executed by the Association through M/s. INCON Associates for the purpose of holding any marriage that should be allowed to continue. But all correspondence and discussion on every aspect shall be done with the Committee. The Collector may nominate one of the Committee members for this purpose but the final decision shall be taken by the Committee. We have so directed, as we do not want that the 4 allocation of the marriage hall for the purpose of marriages be cancelled. However, after today, M/s. INCON Associates shall not enter into any fresh contract. The Committee shall take over the management by 25.01.2015 positively. Mr. Subramaniam, learned senior counsel submitted that no one shall raise any obstruction in taking over the management. The Collector is at liberty to requisition the police assistance, if he has to take care of any obstruction regard being had to the situation. All the twenty-three shop keepers shall pay the rent to the Committee and the income shall be collected by the authorised agent of the Committee. If anyone would deviate in doing so, he would be liable for contempt of this Court. It will be the duty of the Managing Committee to see that the buildings are properly maintained. We have modified the order of Stay to the aforesaid extent. The income derived from the date of taking over possession and any income that is derived earlier thereto shall be kept in an interest earning account in the State Bank of India, Main branch, near the Collectorate, Cuttack. The documents that have been exhibited before the trial court are permitted to be filed by either of the parties. “At this juncture, another aspect need to be stated. 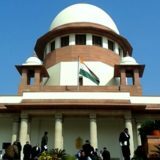 We are inclined to say so, as it is submitted by Mr. Gopal Subramanium, learned senior counsel appearing for the petitioner that the report submitted by the Accountant General cannot be accepted on the face value and that is why, as stated earlier, he intends to file an objection to the same. But a pregnant one, there has to be finality to the audit. As advised at present, we may say, in case an occasion arises to test the report and the objection to be filed thereto, this Court may think of sending both the reports to The Comptroller and Auditor General of India, who shall scrutinize both the reports and, if required, by sending a team of auditors. We say no more on that score for the present. Only a thought expressed. At this juncture, we will be failing on our duty if we do not take note of the stand quite vehemently put forth by Mr. Gopal Subramanium that the constructions are within the lease hold area and they have been constructed to raise funds. To deal with the said aspect, we would like the State to file the lease deed in original, as the petitioner has already filed the certified copy of the lease deed. How the same would be addressed to shall be thought of after there is delineation with regard to the accounts. An ancillary question may arise as to whether a lessee, especially, Orissa Olympic Association, which is involved in pubic duty, can be engaged in this kind of activities on a mercurial or spacious ground of raising funds to sustain the stadium without the consent of the lessor. “At this juncture, Mr. Panigrahi, learned counsel for the State has read out a passage from the impugned judgment which is quite shocking if it is factually correct. Submission of Mr. Panigrahi is that the stand of the Orissa Olympic Association had invested the money for the benefit of the association is an absolute myth, for one of the partners of the M/s. INCON Associates is the son of the General Secretary of the petitioner- Association before this Court. Hence, submits Mr. Panigrahi, the arrangement was so made with the sole purpose of benefiting M/s. INCON Associates. This aspect requires to be seriously dwelt upon, for there is a conflict of interest and it may enter into the realm of fiscal impropriety. 25. On the next date of hearing, we were apprised by the learned counsel for the State that the two partners of M/s. INCON Associates are the son and son-in-law of Mr. Asirbad Behera, General Secretary of the Orissa Olympic Association. The said fact was disputed by the learned senior counsel for the appellant. The Court, upon perusal of the document, found that as far as the son is concerned, he was a partner in M/s. INCON Associates. It noted the submission of the learned counsel for the appellant to the effect that there is no malfeasance or misfeasance and that there were circumstances for which the tender was floated and the firm came in. Learned senior counsel submitted that when the contract was entered into for the first time in 1998, the son was not a partner. In reply, Mr. Panigrahi would submit that he was inducted as a partner at a later stage. 27. Having referred to the record of proceedings, we should record the submissions of learned counsel for the parties. It is urged on behalf of the appellant that by Orissa Act No. 1 of 1991, the Government Land Settlement Act, 1962 (for short, “the 1962 Act”) was amended, and Section 3(4) of the Act treated an expired lease as a deemed lease. By virtue of this provision, the lease in respect of the Appellant Association continued. The Appellant Association had applied to the State Government for a permanent lease in terms of Section 3(4) of the Orissa Government Land Settlement Act, 1962, as amended by Orissa Act No. 1 of 1991. The Tahsildar recommended that the lands be permanently settled in favour of the Association and the Collector approved the same on 16.08.1995. However, since there were discrepancies in respect of some issues including that in respect of the land comprised in Hal Plot No.7, the Association did not execute the lease deed and sought rectification of the errors. It is submitted that during permanent lease proceedings, the Association objected that the demarcation of plot comprising of an area of acres 20.808 dec. is not correct. The appellant objected to the same contending that Plot No.7 should form part of Sabik Plot No. 139. Accordingly, the appellant requested that the mistake should be corrected or finalization of Plot No.7 should await till the dispute attains finality and, thus, the association did not execute the lease deed. Be that as it may, the said order having been set aside by the Revenue Divisional Commissioner, the Association challenged the order before the High Court on principle. That apart, in view of the recent amendment to the 1962 Act on 26.02.2009, the Khasmahal properties are to be permanently settled and, accordingly, the pending cases are to be disposed of in accordance with the amendment. The order for permanent settlement has been set aside in appeal which is the subject matter before the High Court, in Writ Petition (C) No. 5360 of 2002. In the writ petition, it has been prayed that the writ petitioner be held to be deemed lessee and that the lease subsists. The High Court has passed an interim order dated 4.12.2002 directing that status quo in respect of possession of the land be maintained. The writ petition is pending before the High Court. It is submitted that even if the permanent lease did not materialize, the 1991 amendment provided for a deemed lease and in view of the 2009 amendment in the 1962 Act, the lands have to be permanently settled in favour of the association. 29. Commenting on the report of the Committee headed by the District Judge, it is contended that the committee was conferred the responsibility to measure the leasehold area (pertaining to the lease deed registered on 24.09.1949) and to see if the 23 shops and the Kalyan Mandap are within the same or not. Criticising the said report, it is urged that the said Report, on measurement, has based reliance on Hal Settlement of 1988 which itself is the bone of contention between the appellant association and the State Government and is, in fact, the very cause of action for the present lis. Therefore, the very basis of the exercise undertaken by the Committee is erroneous resulting in a wrong report. It is put forth that the Committee has travelled beyond the scope of reference inasmuch as the scope of reference was restricted to measure the leasehold area of acres 20.08 decimals leased out vide lease deed dated 24.9.1949 and the renewed lease deed dated 19.4.1974. The Committee, however, had not undertaken the said exercise keeping in view the schedule to the original lease deed of 1949 or the schedule to the renewed lease deed of 1974. It is also contended that though the Committee had access to the maps prepared by the government authorities which are contemporaneous with the time when the lease deed was executed in the year 1949, yet the same were not considered as a reference point for the measurement. On the contrary, the Committee travelled beyond the scope of the reference and recorded erroneous conclusions by taking into account irrelevant considerations. That apart, the Committee has omitted available relevant records and has proceeded on the basis that measurement had to be carried out in the absence of Government producing the relevant records. It is further canvassed that Exhibit 1 is the copy of the application of the Appellant Association, along with a map, for grant of lease of an area of 20.808 acres; Exhibit 4 is the Sabik settlement map of 1927-1928 as revised in 1949; Exhibit 6 is the map prepared by the Khasmahal Amin on 1.4.1953 showing the lands, demarcated by the boundaries, that had been given by the Government to the Appellant in 1949 and in 1950; and Exhibit 7 is the Relay Map which is superimposed map showing the Sabik Plot numbers that got converted into Hal Plot Numbers at the Hal Settlement of 1988-1989. It is urged by the learned senior counsel that the aforesaid documents clinch the issue of the exact measurement and the extent of land leased to the Appellant Association under the lease deed dated 24.09.1949; that the issue of the exact extent of land leased to the Appellant is the subject matter of the Civil Suit; that the construction made thereon, namely, the Kalyan Mandap and 23 shops is what is covered by the order of this Court dated 07.05.15; that the task assigned to the Committee by this Court was to find out, by measurements, whether the Kalyan Mandap and the 23 shops are within the leasehold area; that the aforesaid documents which are part of record and were readily available to the Committee while carrying out measurements to find out the extent of land covered by the Lease Deed dated 24.09.1949 as renewed by the Deed dated 19.04.1974; that the Committee chose to ignore the said crucial documents which would clinch the issue and lamented that the government did not produce the relevant records but nevertheless proceeded to carry out the measurements as per its own understanding and parameters; and that to carry out the exercise of measurement to determine the extent of land covered by a grant/document, there has to be a starting point and the boundaries to the subject matter of the grant/document have to be ascertained. It is argued that while identifying a piece of immovable property, the boundaries prevail over the extent/measurements and that has been held in Sheyodyhan Singh v. Sanicharakuer and for the said purpose, the documents mentioned in the exhibits assume great significance. 30. Learned counsel appearing for the appellant would further submit that Exhibit 1 is the application for grant of lease along with a map identifying the land of which lease was sought. Exhibit 4 is the Sabik settlement map of 1927-28 as revised in 1949. This map shows the location of Sabik Plot numbers in the relevant area. It is important to note that this map is relatable to the General Revenue Record finalized after 25.10.1949 which is subsequent to the execution of lease on 24.09.1949 in favour of the Appellant. In this map, a sub division of Sabik Plot No. 139 as Plot No. 139/1370 is shown. At the time the lease was executed in favour of the Appellant, Sabik Plot No.139 was a whole plot number and the Lease Deed specifically records that a portion of Sabik Plot No. 139 forms part of the entire leasehold area. Which portion of Sabik Plot No. 139 is within the leasehold area is actually the subject matter of the civil suit and it is the specific case of the plaintiff-Appellant that the leasehold area does not include the land in the newly created Sabik Plot No. 139/1370 but includes the land in the original Sabik Plot No. 139. It is further pleaded that while recording the Record of Rights, the individual extents of land in the original Plot No.139 and newly created Plot No. 139/1370 were wrongly recorded. That is how the confusion was sought to be created as to the identity of that portion of Sabik Plot No. 139 which is within the leasehold area of the appellant. That portion of the original Sabik Plot No.139 which is within the leasehold area is clearly identified in Exhibit 6 map prepared by the Khasmahal Amin in 1953 by showing the boundaries to that plot number. The details emerging from Exhibit 6 map will be elucidated in the ensuing paragraphs. Additionally, it is contended that Exhibit 6 is the Government map prepared by the Khasmahal Amin on 01.04.1953. The Appellant Association had a lease for 20.808 Acres in 1949 and a further extent was granted in 1950. The Association had requested the Government to grant another extent of land in 1953. In this context, the Khasmahal officer directed a survey of the land already held by the Association and of the land proposed to be given to the Association. Upon survey and measurement to scale, a detailed map was prepared in parallel and one copy was given to the Association and the other was retained by the Government. The map indicates the individual plot numbers and the boundaries on all sides. 32. Mr. Panigrahi, learned counsel for the State, would submit that the report of the Committee headed by the District Judge is absolutely flawless because the Sabik Record of Rights of Holding No. 366 was finally published in 1931. Copy of the said ROR available in the District Record Room of the Collectorate, Cuttack, has been placed on record as Annexure-30 of the District Judge Committee Report. Since the Settlement was closed prematurely and as such the record of right did not reach finality with final publication, the map showing creation of part plot No. 139/1370 which is relied upon by the appellant has no validity as it is not backed by an authentic finally published record of right. That apart, in the subsequent settlement operation, the record of right and map of the village – Unit No. 10, Cantonment, were finally published during the year 1988-89 under the provisions of Orissa Survey and Settlement Act, 1958. Learned counsel would submit that at Khanapuri stage in the settlement operation, ‘Yadast’ is prepared by the Amin visiting each and every plot in a village and in this ‘Yadast’, details of information on field position are noted and map is prepared accordingly. The portion of land on which the ‘Kalyan Mandap’ and 23 shops stand is in Hal Plot No. 7(p) of Holding No. 230 of mouza Unit- 10, Cantonment. In Yadast No. 60/1, which relates to this land, there is mention of occupation of the Government and no mention of occupation of the Orissa Olympic Association. It is contended by him that the so-called Bata Plot No. 139/1370 co-relates to Hal Plot No. 165(p). From the Yadast No. 67 it is evident that the said land was coming within the leased out area acres 20.808 and was under occupation of the Odisha Olympic Association. The sports hostel stands over the so-called Bata plot shown in the Settlement map and still now, the sports hostel exists there which corresponds to Hal Plot No. 165(p). It is evident that the portion of land on which the ‘Kalyan Mandap’ and 23 shops stand are outside the limit of the leased out area of acres 20.808 dcl. Therefore, he would urge that the land on which the ‘Kalyan Mandap’ (Barabati Palace) and 23 shops stand does not come within the leased out area of acres 6.222 from out of Sabik Plot No. 139(p). Mr. Panigrahi also contended that Section 16 of the OPLE Act specifically bars the institution of any such suit or legal proceedings and, therefore, the conclusion of the High Court on the said score cannot be found to be flawed. He has also raised the contention with regard to non-sustainability of the plea of adverse possession. 33. It is apt to mention here that learned counsel for the parties have also highlighted many an aspect with regard to the report of the Accountant General, which we shall advert to at a later stage. First, we shall deal with two facets, namely, (i) whether the report of the Committee constituted by this Court as regards the leasehold area is to be accepted or not and (ii) assuming the land is a part of the leasehold area, whether the same can be resumed keeping in view the present use. 34. To appreciate the objection filed by the appellant, we think it seemly to reproduce the reports. The Report of the Committee comprising of District & Sessions Judge, Cuttack and two Additional District & Sessions Judges dated 29.09.2015 is reproduced below:- “Accordingly, the committee consisting of Sri Satya Narayan Mishra, District and Sessions Judge, Cuttack, as the Chairman of the Committee and the nominated members held several rounds of meetings to carry out the direction given by the Hon’ble Apex Court in the matter. Original Lease deeds Sabik Settlement Maps of Lease hold area as well as the maps of corresponding to Hal plots. Plot index. Lease case record in Case No. 294 of 1995. Government sanction order No. 7484 dated 29.06.1949. Document regarding demarcation of leasehold land by Revenue Authorities on measurement. vide Annexure “ 25, Annexure 25/a & Annexure 25/b. The original lease deeds of 1949 and 1975 Government of Orissa Revenue Department Order No. 7484 dated 29.06.1949 and Document regarding demarcation of leasehold land by Revenue Authorities on measurement. 2. The Committee examined the documents, the related case records, such as record in T.S. No. 312 of 1991, encroachment case etc., maps and other connected materials placed before it. The Committee carried out elaborate discussions from various angles to determine the modalities of measurement to carry out the direction of the Hon’ble Apex Court. Orissa Olympic Association (hereinafter to be referred as the OOA) made application to the Revenue Commissioner of Orissa for lease of Ac.20.808 decimals of land from Sabik Plot No. 156, portion of Sabik Plot Nos. 139, 143, 155 and 177 vide Annex “ 1. A Sketch map was attached to the application vide Annex-1/a. (5) 19.04.1974- Lease was renewed for a period of further 20 years from 04.09.1969 to 03.03.1989 vide Lease Deed No. 2526 dated 19.04.1974 vide Annex “ 3. (6) 11.04.1988 “ Hal ROR was published. Ac.21.549 decimals of land were published in the name of the OOA under Khata No. 187 vide Annex-4. (9) 21.06.1995- The OOA made application on 21.06.1995 for permanent lease enclosing statement of land under the possession of the OOA inside the boundary relating to 9 Hal plots vide the application Annex-7 and statement of land vide Annex-7/a & Annex-7/b. This led to the institution of lease case No. 294/1995. (12) 22.07.1995- The Tahasildar permanently settled the land in favour of the OOA vide Annex-9. (13) 16.08.1995- The Collector approved the order of the Tahasildar dated 22.08.1995 vide Annex-10. (14) 16.04.1999- The suit in T.S. No. 312/1991 was decreed in favour of the OOA vide Judgment Annex-11 and the Decree Annex-11/a. (17) 04.12.2002- Hon’ble High Court of Orissa by order dated 04.12.2002 passed in M.C.No. 3999 of 2002 arising out of WP© No. 5360/2002 directed, “status quo as on date in respect of possession of the disputed land shall be maintained” vide Annex-14. (18) 29.11.2014- Hon’ble High Court of Orissa allowed first appeal No.158/2001, set aside the judgment and decree passed in T.S.No. 312/1991 and remanded the suit for fresh disposal vide Annex-15. (19) The Special Leave to Appeal (Civil) No. 34373/2014 was instituted by the OOA in the Hon’ble Apex Court wherein direction has been given to this Committee to submit the report vide Annex-16. (22) 20.04.2015: Pursuant to above order, Tahasildar took the land into the Government Khata vide Annex-19. (23) ROR is accordingly corrected vide Annex-20. 4. Thus the real dispute between the parties is relating to Ac.24.733 decimal. Out of that lease hold area of Ac. 2.703 of 1969 has already been taken in to Government Khata and similarly Ac. 1.222 decimal out of Hal Plot No. 165 has already been taken in to Government Khata as narrated earlier. The lease of Ac. 20.808 decimal has been cancelled and the said area has already been taken into Government Khata but the matter has been stayed by Hon’ble High Court of Orissa in M.C. No. 3999 of 2002 arising out of W.P(C) No. 5360/2002. Thus the present controversy is confined to measure the leasehold area of Ac. 20.808 decimal and to determine the location of Kalyan Mandap (Barabati Palace) and 23 shops. 5. Keeping the above facts in the background the Committee determined its course of action. A Team consisting of Amins having necessary training and sufficient experience was constituted to carry out the measurement in presence and the supervision of the Committee. Tahasildar, 9.Dhanjaya Behera, Amin Cuttack Sadar. Though, the said lease of 1995 was subsequently cancelled by the RDC in the year 2002, the OOA has never disputed/questioned allocation of Ac.6.222 decimals out of Sabik Plot No. 139. So it is clear that the OOA had been granted lease of an area of Ac.6.222 decimals out of Sabik Plot No. 139. The Settlement Officer, Measure Settlement Office, Cuttack reported that fraction Plot No. 1370 or 139/1370 was not in existence after 1927-28 settlement vide his letter No.3408, dated 26.09.2015, Annex-28. The fraction plot 139/1370 was created after 25.10.1949 vide the letter No. 3616, dated 26.09.2015 of the Collector, Cuttack, Annex-28/a and as per Khasmal ROR published after 25.10.1949. So it is apparent that the lease was executed out of original Sabik Plot No.139 measuring Ac.9.290 decimal. Extent of original Sabik Plot No. 139 was Ac.9.290 decimal as per 1932 Sabik ROR vide Annex-30. Further after division of original Sabik Plot No. 139 into 139 and 139/1370 the residual of original Sabik Plot No. 139 became Ac.7.345 decimal. Adding of this residual Ac.7.345 decimal with Ac.1.945 decimal of fraction plot No. 139/1370, the total area became Ac.9.290 decimal which is thus to be measured entirely by the Measurement Team. Since lease has been granted to the extent of Ac.6.222 decimal out of the Sabik Plot No.139, the leasehold area does not cover the entire residual area of Plot No. 139. Hence, consideration of fraction plot NO. 139/1370 is of little consequence. Accordingly the Committee resolved to carry out the measurement ignoring the fraction plot No. 139/1370. 10. Before the commencement of the measurement the Committee held discussion with the members of the Measurement Team including DGPS and ETS Team. Sabik and Hal Maps, Sabik and Hal RORs, Copies of the pleadings of the TS 312 of 1991 and the direction of the Hon’ble Apex Court were handed over to the two teams of the measurement. “Keeping in view the two lease deeds and the schedule of property mentioned therein, we think it appropriate to constitute a Committee of the Judicial Offices who shall, with the help and assistance of the Revenue Authorities, shall measure the lease hold area and submit a report whether the 23 shops and Kalyan Mandap are within the said lease hold area or not” vide Annex- 32.
portions of plot No.139,143,155 and 177 area Ac.20.808 decimals” vide Annex- 2&3. “Para-3: The sketch map attached to the application dated 26/27th January, 1949 and the sanction order 29th June 1949 will clearly indicate that the lease hold area was to the adjoining south of Cantonment-Tulasipur Road. After obtaining the lease of the land the Association raised high compound walls encroaching the lease hold area” vide Anenx-33. Cuttack 187 193 Ac1.355 Town, 192 Ac.0.825 Unit No.10 190 Ac.1.452 Cantonment 187 191 Ac.4.359 203 Ac.0.823 200 Ac.0.456 201 Ac.0.315 202 Ac.1.130 204 Ac.4.335 189 Ac.1.258 167(Part) Ac.1.050 166(Part) Ac.0.082 168(Part) Ac.0.105 165(Part) Ac.3.263 Total Ac.20.808dec vide Annex-9. 12.3 Though the above lease has been cancelled by the RDC and such cancellation has been stayed by the Hon’ble High Court of Orissa in WP© No. 5360/2002 filed by the OOA, the location of lease hold area of Ac.20.808 decimals with specific portions of the Sabik Plots and corresponding Hal Plots has not been disputed by the OOA. 12.4 Accordingly the committee resolved to carry out the entire land in possession of the OOA within the boundary and to determine the lease hold area with specific area of the Sabik Plots mentioned in the lease deed Annex-9. The Measurement Team accordingly carried out the measurement in respect of the possession of the OOA in the field. 13. The members of the Committee were present throughout the measurement that took place from 02.10.2015 to 15.10.2015 and 26.10.2015 with breaks on holidays. Sri. B.H. Mohanty, Senior Advocate on behalf of the OOA and Tahasildar, Cuttack on behalf of the Revenue Authorities were present on the dates of measurement. 15. After the measurement in the field, the Measurement Team prepared the report including the relay etc. in presence and under supervision of the Committee and submitted the reports vide Annex-34 series. The abstract of the report of the Measurement Team has been filed vide Annex-34/a. 17. As per the Measurement by the Measurement Team the OOA is in possession of Ac.26.502 decimal vide Annex-34. As per the DGPS and ETS measurement the OOA is in possession of Ac.27.044 decimals vide Annex-35. In the Hal Settlement ROR of 1988 the OOA was found to be in possession of Ac.21.549 decimals vide Annex-4. 18.2 On scrutiny it is found that the 23 shops and the Kalyan Mandap(Barabati Palace) are in Hal Plot Nos.7(Part) and 165(Part), situated over an area measuring Ac.1.138 decimal and they are corresponding to Sabik Plot No.139. A portion of Kalyan Mandap(Barabati Palace) measuring Ac.0.433 decimals situated over Hal Plot No.165(Part) is within the leasehold area as shown within yellow colour in map. The remaining portion of the Kalyan Mandap (Barabati Palace) and the 23 shops measuring Ac.0.705 decimals are in Hal Plot NO. 7(Part), shown within green color in the map, are situated outside the leasehold area. 20. During measurement the representatives of the OOA and the Revenue Authority requested for the copies of the field book, report etc. for their reference. In absence of any specific instruction to that effect from the Hon’ble Apex Court and to avoid premature disclosure prior to submission of the report before the Hon’ble Apex Court the Committee humbly declined to accede to the request of the parties to provide any copy of the report, filed book etc. to them. (i) Though the committee did conduct the measurement, yet the same was neither with reference to the schedule in the original lease deed of 1949 nor the schedule in the renewed lease deed of 1974, and, as such, was an exercise in contradiction to and not in compliance of the direction of this Court. The Committee omitted available relevant records and proceeded on the basis that measurement had to be carried out in the absence of the Government producing the relevant records. (ii) The report is criticised on the score that it refers to the record of the civil suit that was made available to it. 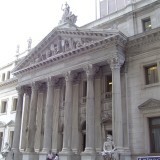 The appellant-plaintiff had exhibited all the relevant documents in the suit and they formed part of the record. The task assigned to the Committee by this Court was to find out, by measurements, whether the Kalyan Mandap and the 23 shops are within the leasehold area. Therefore, the aforesaid documents which are part of the record and which were readily available to the Committee were indispensable to arrive at the correct conclusion while carrying out measurements to find out the extent of land covered by the Lease Deed dated 24.9.1949 as renewed by the Deed Dated 19.4.1974, but the Committee chose to ignore the said crucial documents which would have clinched the issue. It is further asserted that the government did not produce the relevant records but the Committee nevertheless proceeded to carry out the measurements as per its own understanding and parameters. (iii) The further objection of the appellant is that Exhibit 4 is the Sabik Settlement map of 1927-28 as revised in 1949 and the said map shows the location of Sabik Plot numbers in the relevant area. It is contended that the said map is relatable to the General Revenue Record finalised after 25.10.1949 in favour of the association and a sub-division of Sabik Plot No. 139 as Plot No. 139/1370 is shown. At the time the lease was executed in favour of the appellant, Sabik Plot No. 139 was a whole plot number and the Lease Deed specifically records that a portion of Sabik Plot No. 139 forms part of the entire leasehold area. On the said foundation, it is put forth that which portion of Sabik Plot No. 139 is within the leasehold area is actually the subject matter of the civil suit and it is the specific case of the appellant-petitioner that the leasehold area does not include land in the newly created Sabik Plot No. 139/1370 but includes land in the original Sabik Plot No. 139. It is further asserted that in the Record of Rights the location of land in the original Plot No. 139 and newly created Plot No. 139/1370 were wrongly recorded. That is how the confusion was caused as to the identity of that portion of Sabik Plot No. 139 which is within the leasehold area of the appellant. Reference has been made to certain assertions in the plaint. It is also set forth that the Committee failed to appreciate the fact that during 1949, i.e., after leasing out an area of acres 20.808 decimals to the Association, a settlement operation exclusively for Khasmahal area was undertaken which is commonly known as “Pati Settlement”. The settlement prepared the Record of Rights and sub- divided Plot No. 139 into two parts, i.e., Plot No. 139 and the other Plot No. 139/1370. Plot No. 139 comprises of an area of acres 1.945 decimals. Though the field position reveals that Plot No. 139 comprises of an area of acres 2.712 decimals, yet the said settlement could not attain finality and was closed prematurely. However, the revenue map was published with sub- division of plots which has been referred to in the suit and the written statement. Though the State Government is aware of these developments of “Pati Settlement”, yet it did not produce the relevant information before the Committee and, thus, left the Committee in ambiguity in this regard. It is contended that had the Committee carried out the measurement as per the boundaries of the admitted and undeniable map Ex. 6 (Government map prepared by Khasmahal Amin on 1.4.1953), the exact extent of land, which is the subject matter of the suit, could have been ascertained. Contemporaneous crucial records which were part of the same lease transaction were omitted by the Committee. In pursuance of the application for the grant of lease by the appellant association, the Government issued a sanction order dated 29.6.1949 in which it was specifically mentioned that an area of 20.808 acres south of the cantonment road towards Tulsipur, comprising of Plot No. 156 and portions of Plot Nos. 139, 143, 155 and 177, was to be leased to the association. Therefore, the northern boundary to the land leased out to the appellant can be inferred from this sanction order. The lease deed dated 24.9.1949 is in continuation of the sanction order and it describes the land in the schedule. However, the boundary to the land or the extent of land in each plot number is not mentioned in the lease deed. Therefore, the boundaries and the location of the land have to be gathered from the contemporaneous records, namely, the application with the sketch annexed and the sanction order. (iv) Bearing in mind that the schedule to the two lease deeds only mention the total extent of the leasehold area and the Plot Nos. and there is no description of the boundary, it was this document, i.e., the Government of Orissa Revenue Department Order No. 7484 dated 29.6.1949 which described the northern boundary of the leasehold area in as much as the said sanction order states that the area of acres 20.808 decimals is to the south of the Cantonment Road towards Tulsipur comprising Plot No. 156 and portions of Plot Nos. 139, 143, 155 and 177. Had this document been looked into by the Committee, it would have known the reference point or the starting point for measurement, i.e., acres 20.808 decimals southwards of Cantonment Road towards Tulsipur. It would have also been clear that the land which was leased out was contiguous with the Cantonment Road towards Tulsipur. (v) The Committee referred to the lease file in Lease Case No. 294 of 1995 wherein the appellant association applied for permanent lease. As per the report in para 8.1, it is stated that the association applied for permanent lease for acres 6.222 dec. of land out of Sabik Plot No. 139, which is an error apparent on the face of the record. The association never applied for lease on the basis of Sabik Plot Nos. but it did so in respect of plots under Hal Khata including Plot No. 7, because by that time, the Sabik plot numbers were not in vogue due to Hal Settlement of 1988-89 wherein new Hal Plot Nos. were assigned. 37. The Committee has noted that though the revenue authorities were requested to produce the original lease deeds, sabik settlement maps of leasehold area as well as the maps corresponding to Hal plots, plot index, lease case record in Case no. 294 of 1995, government sanction order no. 7484 dated 29.6.1949 and document regarding demarcation of leasehold area, yet three documents, namely, the original lease deeds of 1949 and 1974, Government of Orissa, Revenue Department order dated 29.6.1949 and document regarding demarcation of leasehold land by local authorities on measurement were not produced. The Committee, then, issued requisition of the case record of title suit and examined the document. Thereafter, the Committee chronologically narrated the events, referred to various aspects and, as is discernible, centred the controversy involved in the case by stating that the dispute is confined to measure the leasehold area of acres 20.808 decimals and to determine the location of Kalyan Mandap (Barabati Palace) and 23 shops. Regard being had to the same, it decided its course of action by having a team of Amins who have necessary training and sufficient experience. The Committee also resolved to carry out the measurement with ETS and DGPS by the trained technicians under the supervision of the authority of Orissa Space Application Center (ORSAC), Bhubaneswar. The Committee further found on scrutiny that there is variation in two maps, for fraction plot bearing No. 139/1370 which is reflected in Ext.4 to the suit that is absent in the map provided by the Revenue Authority and, accordingly, felt it necessary to determine whether to consider fraction Plot No. 139/1370 while conducting the measurement to find the leasehold area. The Committee referred to the application in Lease Case No. 294 of 1995 to find out whether an area of acres 6.222 decimal out of Sabik Plot No. 139 was leased out along with other areas in total measuring acres 20.808 decimals. It also noted that though the lease was cancelled subsequently by the Revenue Divisional Commissioner in the year 2002, yet the Association had never disputed the same. The Settlement Officer, Measure Settlement Office, Cuttack reported that fraction Plot No. 1370 or 139/1370 was not in existence after the 1927-28 settlement vide his letter No.3408, dated 26.09.2015. Thereafter, the Committee noted, certain aspects, which we think apt to reproduce despite having quoted earlier:- “Further after division of original Sabik Plot No. 139 into 139 and 139/1370 the residual of original Sabik Plot No. 139 became Ac.7.345 decimal. Adding of this residual Ac.7.345 decimal with Ac.1.945 decimal of fraction plot No. 139/1370, the total area became Ac.9.290 decimal which is thus to be measured entirely by the Measurement Team. Since lease has been granted to the extent of Ac.6.222 decimal out of the Sabik Plot No.139, the leasehold area does not cover the entire residual area of Plot No. 139. Hence, consideration of fraction plot No. 139/1370 is of little consequence. Accordingly the Committee resolved to carry out the measurement ignoring the fraction plot No. 139/1370″. 40. The Committee noted that the said lease has been cancelled but it did not reflect on the same as the matter is subjudice before the High Court in a writ petition and we think it rightly did so. In this appeal, we are also not concerned with the said cancellation. We are only concerned, as we have noted, with regard to the existence of acres 20.808 decimals of leasehold area and anything constructed beyond the said leasehold area. After the measurement, it is interesting to note that the Committee found there are variations in the measurement. We are compelled to reproduce the same at the cost of repetition:- “17. As per the Measurement by the Measurement Team the OOA is in possession of Ac.26.502 decimal vide Annex-34. 18. On examination of Hal Map with Sabik Map, report submitted by the Measurement Team it is found that the leasehold land of Ac.20.808 decimals appertaining to Sabik Plots 156,139,143,155 and 177 are corresponding to Hal plots no. 192, 190, 191, 203, 200, 201, 202, 204, 189, 167(P), 166(P), 168(P) and 165(P) shown within yellow colour in the map. 18.1 The excess land in possession of the OOA which has been shown within green colour in the map is not within the leasehold land of the OOA”. 41. Thereafter, it opined:- “18.2 On scrutiny it is found that the 23 shops and the Kalyan Mandap(Barabati Palace) are in Hal Plot Nos.7(Part) and 165(Part), situated over an area measuring Ac.1.138 decimal and they are corresponding to Sabik Plot No.139. A portion of Kalyan Mandap (Barabati Palace) measuring Ac.0.433 decimals situated over Hal Plot No.165(Part) is within the leasehold area as shown within yellow colour in map. The remaining portion of the Kalyan Mandap (Barabati Palace) and the 23 shops measuring Ac.0.705 decimals are in Hal Plot NO. 7(Part), shown within green color in the map, are situated outside the leasehold area. 19. Finally the Committed unanimously comes to the conclusion and accordingly reports that the leasehold area of Ac.20.808 decimals appertaining to Sabik Plot No. 156 and portion of 139,143,155 and 177 are corresponding to Hal Plot Nos. 193, 192, 190, 191, 203, 200, 201, 202, 204,189, 167( Part),166 (Part),168(Part) and 165(Part) shown within yellow color in the map and 23 shops and part of Kalyan Mandap (Barabati Palace) measuring Ac.0.705 decimals situated over Hal Plot No.7(Part) shown within green colour in the map are not within (i.e. beyond) the leasehold area”. 42. The objections that have been filed are essentially based on the plea that the Committee had omitted available relevant records and proceeded for measurement in the absence of the Government producing the relevant records. A perusal of the report of the Committee clearly shows that it has complied with the order of this Court in its letter and spirit and we find no reason to have a different view than what has been taken by the Committee. 43. Thus, two aspects are clear. One, the association encroached upon the property of the State Government and built 23 shops and, as the report of the Committee would reflect, Kalyan Mandap stands partly on the government land and second, the property that stands on the government land has to go back to the government. There are two options with this Court, that is, to issue a direction for demolition of Kalyan Mandap or direct the government for resumption of that part of the land belonging to the association where the Kalyan Mandap has been constructed. It is beyond any dispute that Kalyan Mandap is functional for more than two decades. There is no justification to direct demolition of the same. It would be appropriate if we direct the land on which Kalyan Mandap is constructed to be resumed by the government and the Kalyan Mandap should vest in the State Government and shall be managed as it is presently managed by the District Collector, Cuttack. As per order dated 22 January 2015 of the Hon’ble Supreme Court of India as communicated vide letter No.D-446/14/XIA dated 24 January 2015 of Assistant Registrar of the Surpeme Court of India, Accountant General (General and Social Sector Audit), Odisha was directed (22 January 2015) by the Apex Court to audit the accounts of 23 shops and the Kalyan Mandap erected on 0.705 acre parcel of disputed/encroached land. Accordingly, one Report was filed in the Apex Court. However, vide order dated 7 May 2015, Honorable Court directed to submit a specific and precise Report within eight weeks. In compliance of above orders of Hon’ble Apex Court, Principal Accountant General (G&SSA), Odisha conducted audit of the accounts of OOA during 30 January 2015 to 28 February 2015 and 8 to 12 June 2015 with respect to income received by it by renting out the property on land under dispute. This consists of 23 shops and one Kalyan Mandap, known by the name of Barabati Palace. The latter was leased out to one private firm (M/s. Incon Associates) till full adjustment of cost of construction (Rs.80.47 lakh) out of 50 per cent of rent payable. The Government of Odisha in erstwhile Revenue Department sanctioned 25.450 acre land in favour of OOA, on lease, in three different phases during July 1949 to February 1969. Out of 25.450 acre of land, an area of 24.733 acre was recorded in the name of OOA in 1988 settlement indicating that the Record of Rights (RoR) was valid upto 1989. Out of the above, lease period for 20.808 acre has lapsed in September 1989 and has not been renewed so far and the matter is sub-judice in High Court of Odisha. Out of two other parcels of land viz. 1.939 acre and 2.703 acre, land measuring 1.222 acre and 2.703 acre settled in 1988 settlement respectively, has already been reverted back to government khata. Out of the remaining 0.717 acre, land measuring 0.634 acre remained under unauthorized occupation (encroachment) of OOA on which a Kalyan Mandap (Barbati Palace) and 23 shops were constructed (1990-99) Encroachment case was filed by the Tahsildar in 1990-91, but the matter has remained sub-judice (February 2015). Rent due, collected and adjusted by OOA from Barabati Palace during January 1999 to December 2014 are indicated at Annexure 3. Thus, OOA had earned a revenue of Rs.97.33 lakh during 1996-97 to 2014-15 (upto December 2014) by utilizing the property i.e. 23 shops and Kalyan Mandap (Barabati Palace) lying on the disputed land. M/s. Incon Associates earned revenue amounting to Rs.2.44 crore from Barabati Palace towards booking charges for different events during January 1999 to December 2014 as per records produced by it. At the direction of the Honorable High Court of Odisha/Honourable Supreme Court of India, the management of Barabati Palace was taken over by the District Collector, Cuttack during the period from 30 November 2014 to 12 December 2014 and then from 24 January 2015. Audit attempted to make a comparison of net earnings from Barabati Palace under both the managements and noticed that in the books of M/s. Incon Associates though income relating to Barabati Palace was shown distinctly however, expenditure incurred thereon was not shown in its accounts separately but mixed with other business like running Barabati Guest House, Barabati Palace and Catering. However, as per certified financial statements for 2007-08 to 2013-14, total income of M/s. Incon Associates from Barabati Palace was Rs.1.71 crore. Present management (i.e. Collector, Cuttack from 30 November 2014 to 12 December and then 24 January 2015 onwards) confirmed that they were charging Rs.70,000 plus service tax per social events up to 18 February 2015 and Rs.80,000 plus service tax thereafter and 78 bookings had been made with collection of booking charges of Rs.77.50 lakh during same period and incurring expenditure of Rs.2.61 lakh within about five months (up to May 2015). This indicated that Barabati Palace had more revenue earning potential than that disclosed in the accounts of M/s. Incon Associates. As the hiring charges of the Mandap was Rs.70,000 per day, the District Administration collected an amount of Rs.4.45 lakh from the users of Kalyan Mandap. Similarly, Collector also collected Rs.1.20 lakh on advance booking of said mandap during the period when management remained with M/s. Incon Associates. However, the differential amount of Rs.0.66 lakh due to the District Administration has not been deposited by M/s. Incon Associates (June 2015). Besides, service tax amounting to Rs.90,000 was neither collected from the concerned users by the Collector nor by M/s. Incon Associates. In the accounts of OOA, expenditure incurred towards repair and maintenance relating to 23 shops were clubbed with repair maintenance of other civil structures like stadium, office building, etc. Similarly, separate metering and billing for electricity charges upto 2004-05 for 23 shops was not done. Therefore, identification of expenditure against receipts from 23 shops standing on disputed/encroached land could not be possible in Audit. OOA accounted for Rs.80.47 lakh being construction cost of Barabati Palace and other installations (plant and machinery) as its own asset in 1998-99 (Rs.57.66 lakh) and 2000-01 (Rs.22.81 lakh) and booked matching amount under liabilities as Deposit (accrual of assets against self-construction of buildings) received from M/s. Incon Associates, as cost of construction was not met by OOA. In the annual accounts of OOA for the period 1999-2014, Audit noticed that a sum of Rs.21,51,809 being 50 per cent of rent received from M/s. Incon Associates was adjusted from Deposit (accrual of assets against self- construction of buildings) head. Besides, said asset (Building: Rs.61.35 lakh) was not capitalized based on expenditure incurred but on estimated construction cost and so did not represent the actual cost of the building. OOA also irregularly charged depreciation for Rs.26.45 lakh during 2003-04 to 2013-14 on said building, even though title of the land was disputed. Besides, M/s. Incon Associates, the lessee of Barabati Palace, incurred expenditure towards repair and maintenance as well as electricity charges of the Barabati Palace. As per terms of agreement with M/s. Incon Associates, 50 per cent of the rent in each month was to be adjusted towards construction cost of Barabati Palace. In the accounts of OOA, while cost of construction was booked under fixed assets to be reduced by depreciation each year, in the accounts of M/s. Incon Associates, same was shown under current assets, loan and advances (OOA account) till 2006-07 to be reduced by 50 per cent of rent payable each year. Investment in Barabati Palace was distinctly shown from 1999-2007 in the accounts of M/s. Incon Associates, but thereafter the same was mixed with other investments due to which amount of investment made in Barabati Palace alone could not be ascertained in Audit. During 1999-2007, OOA adjusted Rs.11.79 lakh in its account whereas M/s. Incon Associates had shown adjustment of Rs.13.76 lakh during the same period as detailed at Annexure 4. The difference of Rs.1.97 lakh was not reconciled (June 2015). Cash books from 1998-99 to 2009-10; Booking and Collection Register from 1999-00 to December 2014; Money Receipts from 1999-00 onwards; Bill Copies from 1999-2000 to 2009-10; Bill Register; Tariff charges of Kalyan Mandap with detailed break-up. Hence, accounts of M/s. Incon Associates could not be relied upon by Audit. Revenue sharing is a major bidding parameter to ensure that the parties willing to share the highest revenue would get selected. Audit noticed that, OOA did not exercise any due diligence for revenue sharing like the actual income stream of the private partner from utilizing this building, mutually acceptable level of Internal Rate of Return (IRR) and fixing of minimum reserve percentage of revenue share etc. Rather, it seemed to have fixed the annual rent arbitrarily without examining the anticipated revenue earning. Since competitive bidding was not followed while entering into agreements with M/s. Incon Associates, Audit compared the actual rent charged for Barabati Palace with ‘Fair Rent’ which is prescribed in Paragraph 4.1.14 read with Annexure XIII of Orissa Public Works Department (OPWD) Code Volume II. Government hires private buildings at such rate. 45. Keeping in view the aforesaid report, it was observed:- “From the aforesaid report, the differential sum that comes into existence is Rs.1,79,57,211/- (Rupees one crore seventy nine lac, fifty seven thousand two hundred and eleven only). Certain documents have been annexed in support of the report. A copy of the report has been handed over in Court to Mr. Raghvendra Srivastsa, learned counsel for the petitioner. It is open to the petitioner to file an objection to the same within four weeks hence. “Para 2.3.1 The calculation and the projection up to 2044 is wrong. The correct position is worked out below. It would be seen there from that the Kalyan Mandap (Barabati Palace) would be wholly owned OOA by 2026 i.e. after 11 years. The decision of the OOA Executive Council has proved highly rewarding as OOA has acquired the property without any capital investment. The gain to OOA is huge in real terms. In regard to fixation of rent it is pointed out that OOA had only given a piece of land to Incon and rent was for the land. As the cost of construction was to be capitalized eventually by OOA, it is not understood how increase in cost of construction would have warranted proportionate increase in rent. The capital applied was that of Incon, so how would OOA charge Incon for increased cost during the period of construction? Audit have missed the essence of the Agreement. The agreement was for acquisition of asset by OOA created by Incon and not for sharing revenue. The observations of the Audit are wrong and are far from facts. Audit had not gone through the arrangements entered into from time to time and subsequent correspondence. In all the arrangements it is mentioned that the vacant land is given for construction of Kalyan Mandap on the terms that the period of lease is 28 years or till the adjustment of the amount of expenditure of Rs. 80,47,157/- incurred on construction of Kalyan Mandap out of rent payable whichever is earlier. Audit has referred to the Agreement dated 18.3.2002 and the calculation has been made on that basis. Audit has not referred to the corrigendum issued immediately after that providing the lease period of 28 years, agreed to by both parties. Besides, if it is assumed that the licensee had kept the amount spent on construction in bank as fixed deposit at the rate of interest of 8% per annum (Quarterly Compounded), then the Incon would have got Rs. 5,74,22,569/- after the expiry of 28 years. In other words the cost of license to the license (Incon) for 28 years is Rs. 6,54,69,355/- (Rent Paid + Interest Lost + Unadjusted cost of construction) which comes to Rs. 1,94,849/- per month. The licensee has borne the burden and the OOA has become the final beneficiary. This would show that no favour was shown to INCON. Para 2.3.2 Revenue sharing was not a bidding parameter, firstly because there was no bidding and secondly because OOA did not contemplate revenue sharing when it rented out the vacant a piece of land. The presumptions of Audit are ab initio wrong. Audit has presumed that a constructed building was rented out to Incon and therefore the OPWD fair rent standard was to be applied. Actually the vacant land was leased out at Rs. 1.18 per sq ft which was marginally increased periodically. The rent per sq ft was arrived at on the basis of fair rent prevailing for vacant land, without any intention of profiting from rent. The real intention was to gain through acquisition of asset. It would be seen from the previous paragraph that the index cost of construction till date works out to Rs. 2.38 crores which would further increase by the time the license would expire (2025-26). The index cost at that point of time would be Rs. 4.76 crores. The superficial calculation done erroneously by audit is required to be wholly rejected. The presumed loss on rent differential Rs. 1.79 crores is therefore without any basis. The Principal Accountant-general has audited the accounts of the Odisha Olympic Association again as directed by the Hon’ble Supreme Court, to verify if the income by way of rent earned by the OOA from 23 shops and Kalyan Mandap have been duly accounted for. Audit has confirmed (Para 2.1.2) that OOA had earned revenue of Rs. 97.33 lakhs by way of rent from 23 shops and Kalyan Mandap and that amounts have been duly accounted for by OOA in its books. Hence there is no defalcation or non accounting of rental income. Audit has erred in telescoping the payback period up to 2044. The agreement provided for maximum lease tenure of 28 years. Thus the lease would be over by 2025-26. OOA would come to acquire the property index-valued at around Rs. 4 crores without spending a rupee. The arrangement is loaded in favour of OOA and not Incon. For Incon it is bad business and for OOA it is a crowning success. Comparison between actual rent charged and fair rent as determined by Roads and buildings is not tenable as R & B rent is far constructed space. 47. On a perusal of the objection, it is noticeable that Shri Das has opined that the auditor has not gone through the agreements entered into from time to time and subsequent correspondence wherein it has been mentioned that vacant land is given for construction of Kalyan Mandap on the term that the period of lease is 28 years or till the adjustment of the amount of expenditure of Rs. 80,47,157/- incurred on construction of the Kalyan Mandap out of rent payable whichever is earlier. He has also referred to the pay back schedule and observed that the association would receive rent of Rs. 39,99,786/- during the tenure of licence (being 50% of the rent) and the building period. The present value of the developed property (calculated till the financial year 2015-16) is Rs. 2,38,31,773/- based on the indexed cost prescribed by the Central Government under the Income Tax Act, 1961. Additionally, he has observed that Audit has confirmed that OOA had earned revenue of Rs. 97.33 lakhs by way of rent from 23 shops and Kalyan Mandap and those amounts have been duly accounted for by OOA in its books. Hence, there is no defalcation or non-accounting of rental income. Shri Das has opined that the association would acquire the property indexed-valued at around Rs. 4 crores without spending any amount. 48. We have accepted the report submitted by the Committee headed by the District Judge, Cuttack. 23 shops are situated on the Government land and part of the Kalyan Mandap is also situated on the Government land. This makes it quite clear that the association has raised construction by encroaching upon the Government land and the expert engaged by the association gives the opinion that Rs. 97.33 lakhs by way of rent had been earned. There is a lot of gap between the figure arrived at by the Accountant General of Orissa on the basis of the market rent and the figure arrived at by the expert. That apart, the State has shown the revenue generated after it was handed over to it which indubitably shows that either the 23 shops were given on lower rent and similarly, Kalyan Mandap had been let out at a very low price or there had been collusion to show lower receipt though actually there was high collection on rents. This would require investigation. 51. Another aspect which cannot be ignored relates to conflict of interest. Vide order dated 9.3.2016, this Court had noted that the son and son-in-law of Mr. Asirbad Behera, General Secretary of the Orissa Olympic Association, were partners. In this regard, we may refer to a two-Judge bench decision in Board of Control for Cricket in India v. Cricket Association of Bihar and others wherein the Court, taking note of the finding of the probe committee, has held that serious issues of conflict of interest adversely affects the game of Cricket which is so popular in this county. It is bound to shake the confidence of the public in general. The said finding was recorded in the context of the affairs of the BCCI. The concept of conflict of interest is well established. A person who is accountable to the public and deals with public affairs is not expected, as required under the law, to have any personal interest. He is not to act in a manner where it is perceived that he is directly or indirectly the beneficiary; or for that matter, extends the benefit to a person of immediate proximity. In this context, we may usefully reproduce a passage from the authority in Board of Control for Cricket in India (supra):- “BCCI is a very important institution that discharges important public functions. Demands of institutional integrity are, therefore, heavy and need to be met suitably in larger public interest. Individuals are birds of passage while institutions are forever. The expectations of the millions of cricket lovers in particular and public at large in general, have lowered considerably the threshold of tolerance for any mischief, wrongdoing or corrupt practices which ought to be weeded out of the system. Conflict of interest is one area which appears to have led to the current confusion and serious misgivings in the public mind as to the manner in which BCCI is managing its affairs”. 54. We have referred to the aforesaid passages to highlight that when an administrator is discharging public function, he is also required to avoid any type of conflict of interest. It has been so held in the case of Board of Control for Cricket in India (supra). Any action that would show conflict of interest is a transgression of the fundamental principle of fair administration and governance. It can be stated with certitude that the principle of rule of law does not countenance such conflict of interest. It is clear as day that the relationship between the two individuals and their different obligations expose conflict of interest. It is an interest where one may abuse the public office to gain personal benefit either directly or indirectly. In the instant case, the son of the Secretary of the association is a partner in the firm that had been given the contract. The son might have been inducted as a partner at a later stage but the fact remains that the father was the Secretary of the association. In such a situation, it does not require Solomon’s wisdom or, for that matter, the wisdom of an adjudicator as described in “Tripitak” to understand that there is conflict of interest. The Secretary of the association, as it seems, had sent his conscience on vacation. 55. In view of the foregoing analysis, we arrive at the conclusion that the suit land, whereon 23 shops have been constructed and rented out, belongs to the State Government; that a part of the ‘Kalyan Mandap’ is built on the Government land and a portion of it on the leasehold area of the association; that the association could not have constructed the ‘Kalyan Mandap’ in this manner and, therefore, the portion of the land deserves to be resumed by the State Government; that the arrangement entered into by the association with M/s. INCON Associates is absolutely illegal and there is a conflict of interest since the Secretary’s son and son-in-law have been inducted as partners in the concerned firm; that there is revenue loss as the audit report of the Accountant General is appreciated; that the Secretary of the association could not have been instrumental in unauthorised construction on the government land and in generating revenue therefrom; that there is a serious concern about the nature of revenue generation utilisation and the loss sustained; and that the whole thing makes us feel that there is something rotten in the management of the affairs in fiscal aspects. 56. Having so concluded, we issue the following directions:- (i) The Collector, Cuttack, shall take over possession of 23 shops and the ‘Kalyan Mandap’. (ii) The Department of Revenue shall be entitled to continue the tenancy and maintain the Kalyan Mandap and manage the affairs of the said property through District Collector, Cuttack. (iii) No tenant or anyone shall be entitled to institute any litigation in any manner in respect of the said property involved in this appeal that has arisen from T.S. No. 312 of 1991 instituted in the Court of Additional Civil Judge, Senior Division, Cuttack. (iv) The government, if it decides to manage the properties by entering into fresh agreement, is at liberty to do so. (v) The agreement between the association and M/s. INCON Associates is declared null and void. (vi) As the conflict of interest is obvious and the Secretary, who is accountable to the public, has failed to conduct himself as required under the law, he is debarred from contesting for any post in the association. 58. In view of the aforesaid premises, the judgment and order passed by the High Court remitting the matter as well as the judgment and decree of the trial court are set aside. The conclusions arrived at by the trial court and the directions given by the High Court are substituted by our aforesaid conclusion and directions. There shall be no order as regards to the costs of this appeal. Tags: CIVIL APPEAL NO.6450 OF 2016Dipak Misra Praffula C. PantOrissa Olympic Association Th. General SecretaryState of Orissa and Anr.